In old days, we wear hat/cap to protect head, keep warm and show the social status. While in these days, they are just more functional fashionable and funny! 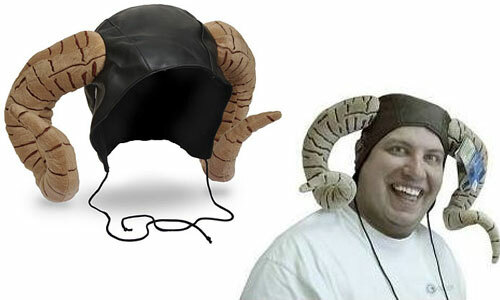 Check out those 13 Creative Hat and Cap Designs in this post, from super geeky wifi cap to incredibly fashion animal hat. Hope you have fun. 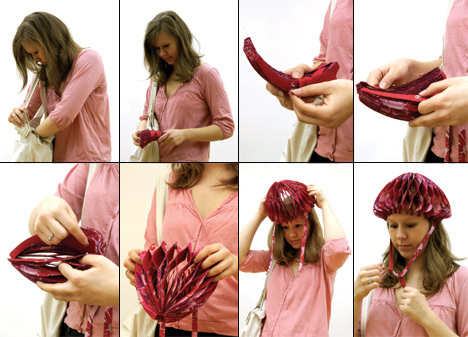 Made from textile instead of rigid materials, the “TopUp Head Protection” for cyclists and walkers is an exploration of the honeycomb pattern and device a protective gear for the head. The brief was to design a gear that was is light and compact and that could deal with minor bumps and falls. The honeycomb was an obvious choice for its impact resistance and shock absorption qualities. With the soaring popularity of high-seas swashbucklers these days, who wouldn’t want to be a Pirate?? Well now you can instantly transform into one by donning our Pirate Edition of Beard Head! 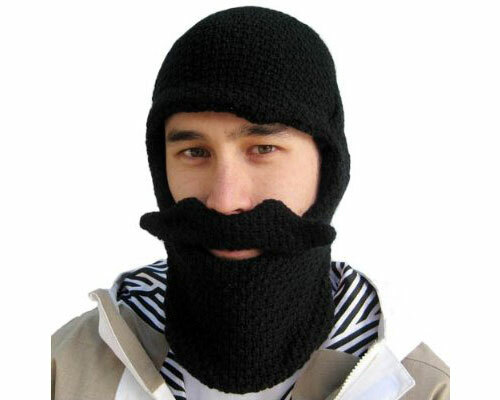 Designed to keep you warm from the neck up, this Beard Head will make ye the popular lad amongst the damsels in distress as well! Savvy? Blonde Ponytail Baseball Cap is perfect for any costume party. Cap is made out of 100% polyester with thin and soft material. 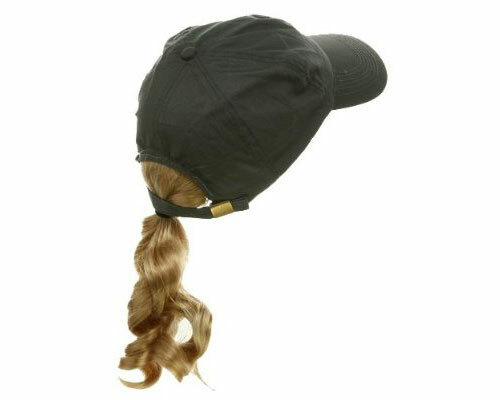 For the unique style of look, this cap is attached with blonde ponytail hair in the back that measures 12 inches long. Cap is unconstruced out of 6 panels and crown measures 4 inches deep with pre curved bill that measures 3 inches long. This cap contains adjustable buckle closure in the back to accommodate any preferred head size and it fits up to size 7 1/4. For Halloween or costume party, man can disguise as woman and woman can express her different look in this fabulous ponytail baseball cap. 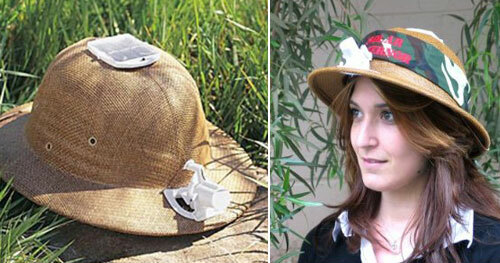 The Original FlairHair Visor is the hot new hat product sweeping the United States and international countries alike. 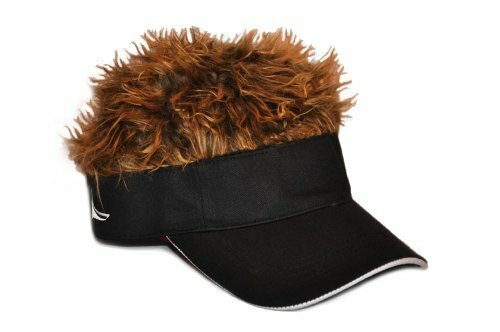 The spiky hair phenomenon is available in a collection of different hair and visor color selections. Even those with a full head of hair will enjoy the cleverness of this product by enhancing their image or just having fun with it! Gesten Technologies offers the iCap music player. 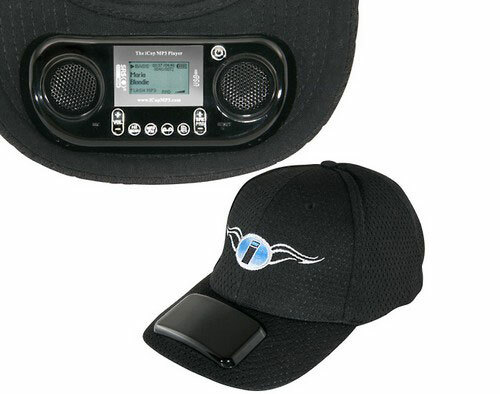 A cap with a MP3 player, FM tuner, voice recorder, and two speakers. The iCap has 1GB internal memory and a microSD card slot for expansion up to 8GB. The built-in FM radio offers 20 memory pre-sets. MP3 and WMA audio formats are supported. iCap is also a voice recorder with microphone. It comes with two speakers and a 128 x 64 backlit display. The iCap uses USB 2.0 interface and works with both PC and Mac. 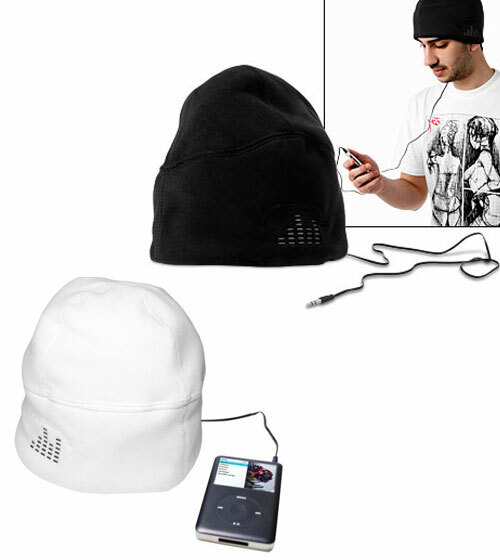 Pop an iLogic Sound Hat on your bonce, plug it into your iPod or any MP3 player, and you’ll be amazed at the sound quality from the integral speakers that fit snugly over your ears. Wearing a hat with headphones is a near impossibility, and ear buds (aside from being fairly uncomfortable) have a tendency to fall out or tug at your lugs in a very uncomfortable manner. These top hats cure all the woes of listening to music on the go, and just to add icing to the cake, other people can’t hear that horrifying squeaky wail of whatever it is you’re listening to. So no more dirty looks on the bus from people who simply don’t understand the importance of shutting yourself off from the world on public transport. Plug in and chill out without the chill. ccessorize Your Wardrobe with Technology Wi-Fi network signal strength should probably be a built-in six-sense for all geeks starting at birth. At the hospital, baby geeks could be identified via tricorder and retro-fitted with the needed equipment. 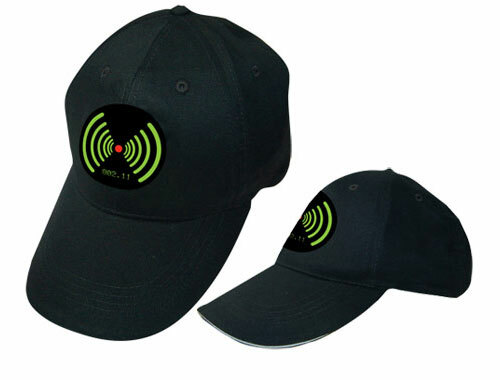 But until that time we present you with this fine Wi-Fi Detector Cap. in use Similar to our Wi-Fi Detector Shirt, this cap combines apparel and technology into an irresistible geeky hybrid. The glowing bars on the cap light-up to indicate the 802.11b/g Wi-Fi strength in your general vicinity… and with your newfound Wi-Fi sense you’ll be sure to make lots of friends like routers and iPhones. Solar and battery powered fan keeps you cool in sun and clouds. 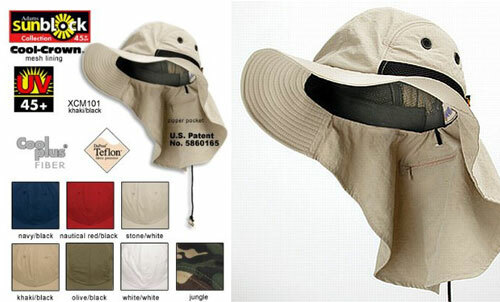 Cool hat for a hot day, exploring for local wildlife, working in the garden, watching your favorite sport or any other outdoor activity. Our weather-proof hat of natural linen straw uses built-in solar cell or 2 AA batteries to power a small fan that directs a constant cooling breeze to your forehead. Gives you power in or out of the sun. Perfect for the sportsman who has to keep his cool. One size fits all with adjustable comfort liner. With 3-way solar/battery/off switch. This is a Daniel Boon Coontail Cap. They are handcrafted in the USA and are made with “Real Tails” and Fake Fur. Whether you have a child that would love to wear one or simply use it as a decoration in a den or office, this is a great item to have. In Monty Python and the Holy Grail, John Cleese played Tim the Enchanter. Now you can dress up as Tim, or at least regale your comrades with quotes they’ve heard a thousand times before like:”Death awaits you all, with nasty, pointy teeth”. These bizarre looking hair set is the creation of Japanese weird/brilliant art Nagi Noda. 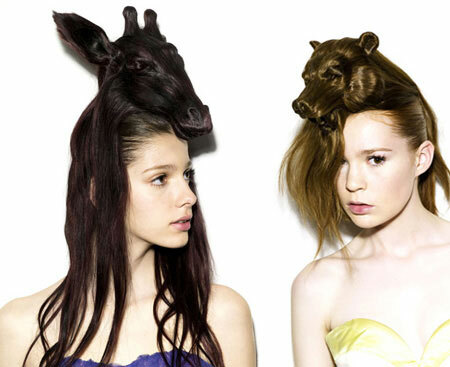 Her website calls theses ‘hair hats’ which are styled into the form of various kind of animals such as a lion, rabbit, elephant, rhino walrus and pig. 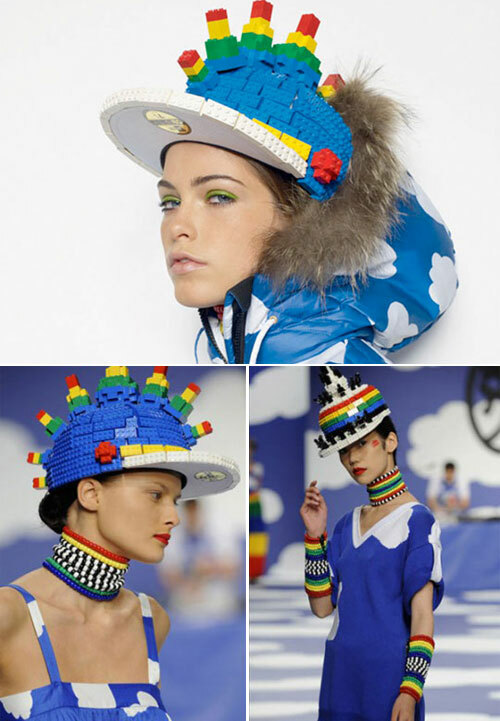 French fashion designer JC de Castelbajac has taken it a little further. Today we take a closer look at his Lego New Era Caps, which even incorporate a mohawk. I want the bearded hat and the antler hat. Must have them.